Home again, and cursed with chest colds regenerated on Virgin Atlantic! I’m going to briefly hit all six of these plays in two posts, just so I can remember what I saw and what they did or didn’t do for me. By way of introduction, I must say, I love going to plays in London. Not only is it an eerily fascinating city, full of the best ghosts in Western Civilization’s history, but it is totally devoted to creative expression, and especially to the art of the theatre. Sure it competes with the glass and steel of finance, and the kitsch of tourism, but theatre is everywhere. Beyond doubt there is considerably more variety there than in New York, and way more attention is paid to new works, as well as revivals and the classics. For instance, right now there are several major Ibsen productions on view, even a Strindberg, probably a half-dozen Shakespeares, and loads of new plays and musicals. All in all: more genuine works of theatre and plays of far wider interest than New York can ever seem to muster at any one time. It’s often true that some of the best work done in New York is imported from the London Stage (i.e. currently, Betrayal, Phantom of the Opera, Matilda) … although I have to admit the reverse is also true. Some of the best American touristy schlock is also on hand in London (Jersey Boys, Legally Blonde), as are some of our own great American classics (currently Twelve Angry Men, and many more in the last few years). Furthermore, London ticket prices remain slightly lower than New York’s, although sadly they are no longer justified by a bargain airfare. Brilliant! … Based on the ingenious book by Mark Haddon, of course, but very different. Magnificent use of laser lights and projections to enhance the story-telling, but never to detract from it. Very simple, but powerfully effective technology, and highly energetic physical work … especially by 25-year-old Liverpudlian Mike Noble as the young Christopher Boone, who has “behavioral problems.” (The man walks on the ceiling and walls, for Heaven’s sake!) It seemed clear from this production that the increasing use of laser and projection techniques in stage design will be the wave of the future. But at heart, Christopher’s journey and ultimate triumph over his Asperger-like symptoms were emotionally rewarding and hugely inspirational. Must reread the book! We’d been warned, but too late: We’d already bought the tickets. 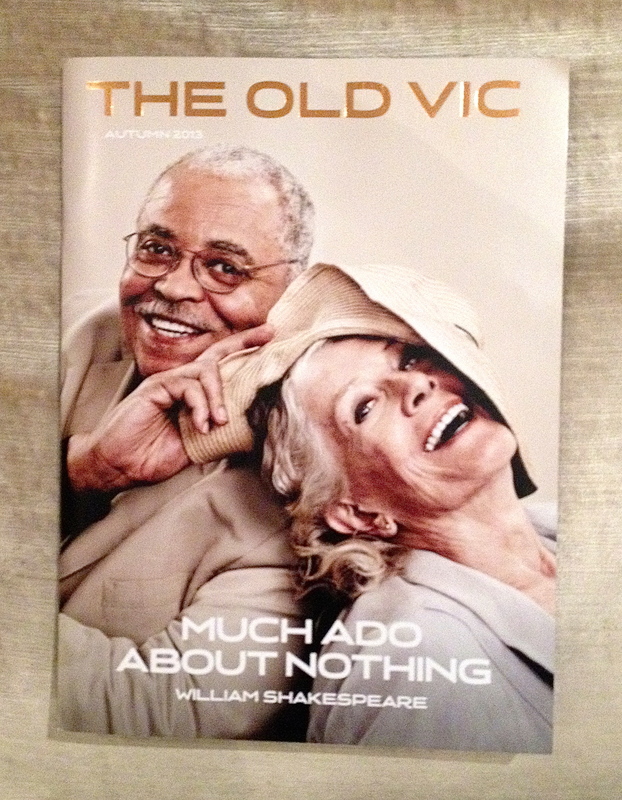 Suffice it to say, I’ve always had enormous respect for the man and his voice, but I’d rather remember James Earl Jones from his movies and from 1967’s The Great White Hope than sit through any more of his later stage work, like On Golden Pond, The Best Man, and this one. Vanessa Redgrave looked like she’d rather be anywhere but here. It didn’t help that super-talented director Mark Rylance, the first artistic director of Shakespeare’s The Globe Theatre, chose a painfully slow and static pacing, probably to keep Mr. Jones from falling out of his chair. There were also too many others in the cast apparently afflicted with the mumbles. As a result, there were some grim faces in the audience, and I suspect that Kevin Spacey, current Artistic Director of the venerated Old Vic Theatre, is gritting his teeth at the many empty seats. Ah well, you win some and lose some. But Joan and I have decided that Much Ado is not our favorite Shakespeare. I loved the recent Josh Whedon movie, though. In this updated version by Richard Bean, of Carlo Goldoni’s 1743 Italian farce, The Servant of Two Masters, we are transported to the world of 1963 Brighton, England. 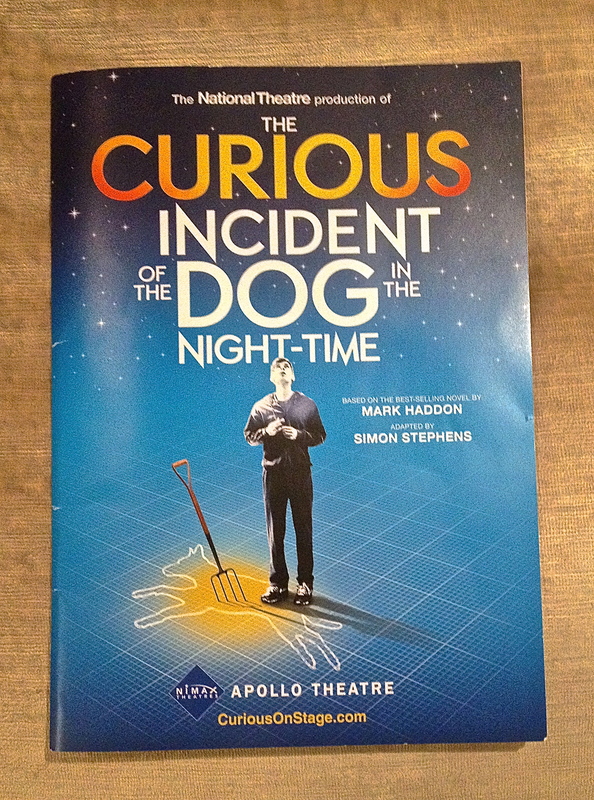 Like Curious Incident…, this too was a National Theatre production, directed by the National’s current Artistic Director, Nicholas Hytner. It has won all sorts of kudos both in London and New York. The slapstick, the gimmickry, and the free-for-all breaking of the fourth wall were hilarious. Like the original, it is basically a whole lot of laughter about a whole lot of nothing. Nothing wrong with a whole lot of laughter, of course, but by intermission I had grown tired of the whole thing, and was beginning to see cross-eyed with the onset of a bad head cold. Joan had already elected to stay at home to nurse her own. Consequently, I elected to leave before the punch line. I do have to say though, that Owain Arthur, who had just stepped back into the role of Francis Henshall, after having toured the world in it, is a very talented, very very funny actor. Ironically, he was originally cast after almost completing the stringent test to become a London cabbie. Their loss, the stage’s gain! This entry was posted in Theatre and tagged Asperger Syndrome, Carlo Goldoni, Christopher Boone, Francis Henshall, Great White Hope, James Earl Jones, Kevin Spacey, Mark Haddon, Mark Rylance, Mike Noble, Nicholas Hytner, On Golden Pond, Owain Arthur, Richard Bean, Servant of Two Masters, Shakeespeare's The Globe, The Best Man, The Old Vic, Vanessa Redgrave. Bookmark the permalink. 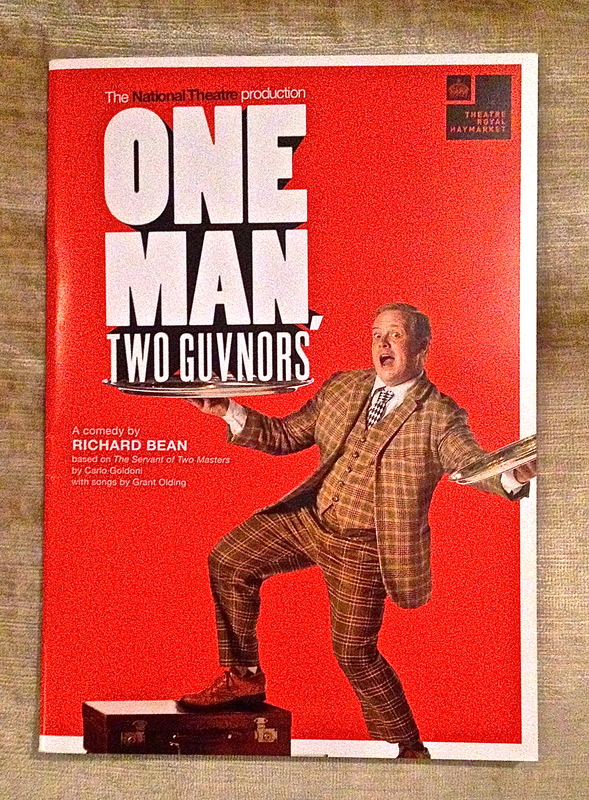 2 Responses to LONDON 3: The Curious Incident of the Dog in the Night-time, Much Ado About Nothing, and One Man Two Guvnors!